Here at Code Engineered Systems we are TPO roofing experts. 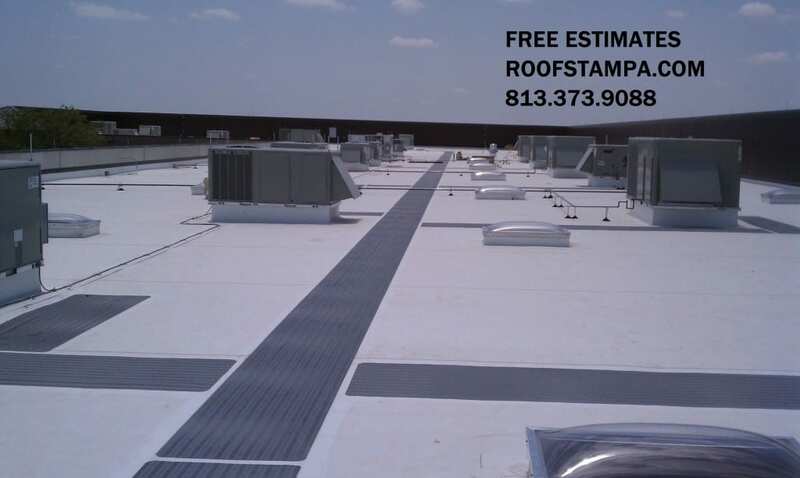 We have been installing TPO roofs in the Tampa Bay area and all over the state of Florida since the TPO roofing system was first introduced to the industry back in the early 90’s. You can be confident when hiring us to install your TPO roof knowing that real TPO roofing professionals are on the job. All of our work is 100% guaranteed. We have hundreds of happy commercial & residential customers who have hired us to install their TPO roof in Tampa and all over the state. We installed the TPO roofs on every part of the new Alabama State University football stadium, the battle command training center in Fort Stewart, and on many other commercial, industrial, and residential buildings. TPO roofing systems are becoming increasingly popular in the roofing industry due to a long list of benefits they offer to their customers. With their excellent performance on low-sloped & flat roofs, TPO roofs are quickly becoming the most popular roofing systems installed in the commercial roofing & industrial roofing industry. Commercial buildings are not the only type if buildings that TPO roofs are being installed on, they are also becoming increasingly popular in the residential roofing industry where roofers are installing them on low-sloped homes & flat sections of the roof such as porches, patios, carports, and other low-sloped parts of the roof. Some advantages to having a TPO roof installed on your home or building are listed below. We have had numerous customer report to us noticing large savings in the energy bills after having a TPO roof installed on their home. For a Free Estimate please call 813-373-9088 or fill out our form here on our website.